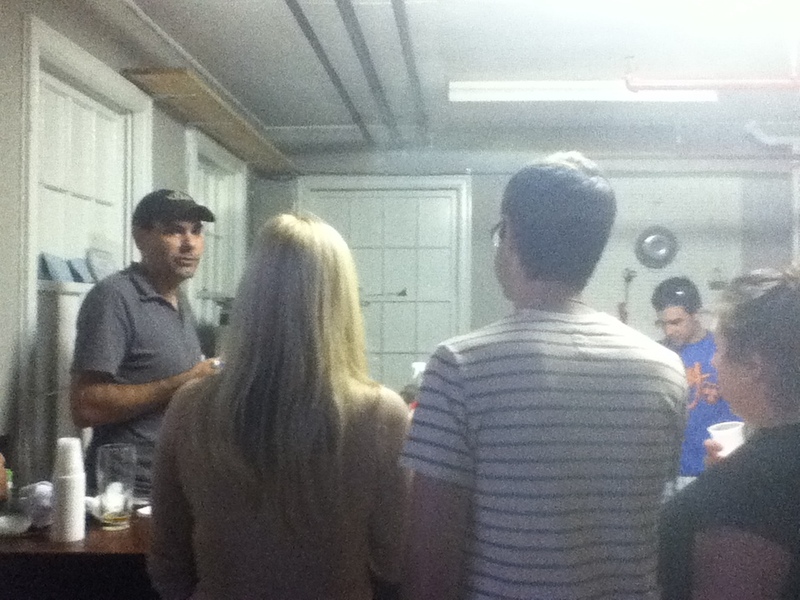 Mark Sigman of Relic Brewery in Plainville, Conn. speaks to a small tour of his nanobrewery. At right is Tony Leone pouring away. This afternoon I quickly dropped by Relic Brewing, the nanobrewery in Plainville, Conn., that consistently makes delicious, adventuresome beer. By brewery, I mean Mark Sigman, the brains and muscle behind the operation. He’d recruited blogger and homebrewer Tony Leone as a pourer and describer of beers during his weekly open house, which takes place on Fridays from 1-3. The brewery is a tiny place nestled into a modest industrial space at 95 Whiting Ave., just enough to fit about 10 people or so, which was just about the number of people who were there today. At this open house I caught something that I hope happens on a regular basis. I saw Craft Brew Guy (@CraftBrewGuy on the Twitters) leading a tour of six other people. He was on his second of possibly three breweries today and his clients were having a blast. They were throwing questions at Mark, who is such a well-spoken guy and kept them informed. Craft Brew Guy’s idea is wonderful, since it spreads the gopspel of local craft beer and boosts business around the state. He did it right, too: he hired a driver and a big old silver van. I hope to accompany him sometime (hint, hint). 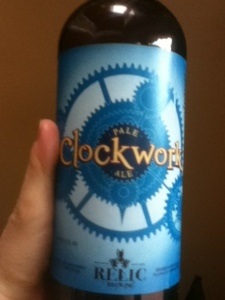 I came away with a bomber of Relic’s Clockwork Session American IPA, which I thought this was an oxymoron. He squeezes so much citrus taste into 5.5 percent that I’m ready to swear off high octane IPAs for good if there are more like these available. If you get an opportunity to stop by Relic’s open house, please do. Feel free to read my column from March 2012 about Relic. See anything you like? Chances are that during the next open house the selection will be different! 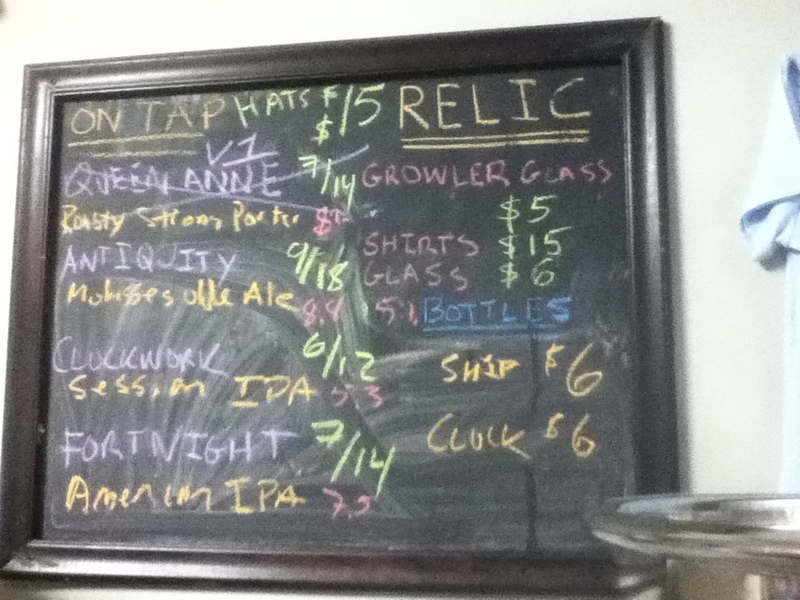 This entry was posted in Beer Snob and tagged CT Beer Trail, Relic Brewing. Bookmark the permalink.